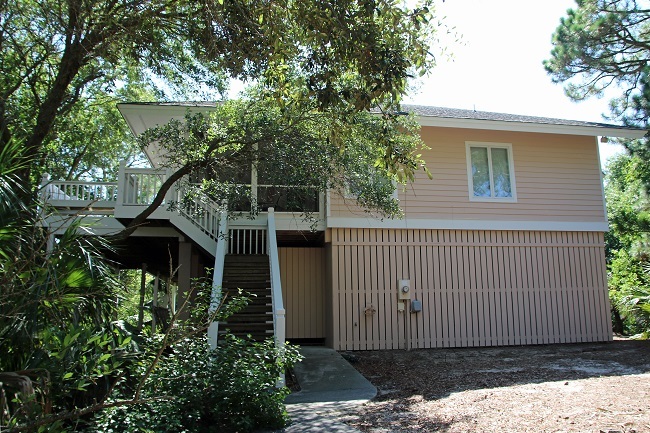 628 Sea Horse Annex is located on Fripp Island SC. This private Beachfront Resort is a popular vacation destination. 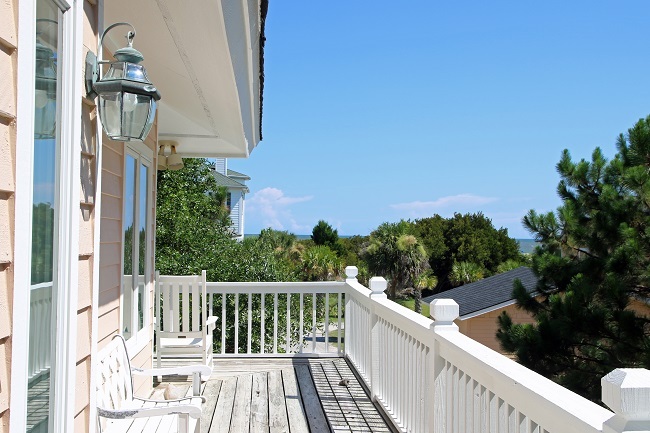 Situated moments away from Hunting Island State Park the neighboring island of Harbor Island and a short scenic ride will lead to Historic Beaufort and the charm of the Lowcountry. This three bedroom, two bath home is approximately 2072 square feet. There is plenty of room for parking and storage. The open decks allow for plenty space for the entire family. Hardwood floors in the main living areas and carpet in the bedrooms. 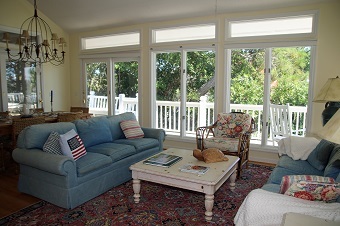 Enjoy the natural light with the large windows throughout this beach home. The main living area is bright and open. The open floor plan makes entertaining easy and fun. The open kitchen has plenty of cabinet and counter space. Enjoy meals out on the deck or on the screened porch. 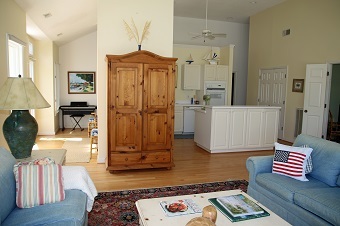 The master suite is spacious with vaulted ceilings and access the screened porch. The additional bedrooms are carpeted and are roomy and bright . Fripp Island is a private, gated 3,000 acre island. Fripp Island is considered to be one of the most beautiful of of the barrier island and the most seaward of the Islands. Located just minutes outside of Historic Beaufort, shopping, dining, and sightseeing is convenient and fun. The Island features numerous amenities which include, 2 fabulous golf courses, a beautiful white sandy beach, swimming pools, tennis courts, marina , restaurants, and shopping. Fripp enjoys a casual island lifestyle. Most people get around on their golf carts or bicycle. The natural vegetation encourages habitat for wildlife. Home to more than 175 species of birds, wild hogs, loggerhead turtles, and deer, the Island welcomes the land’s friendliest of creatures. Between the Loblolly Pine, Hardwood Live Oak, Magnolia and Spanish Moss, Fripp Island is a sight to see. 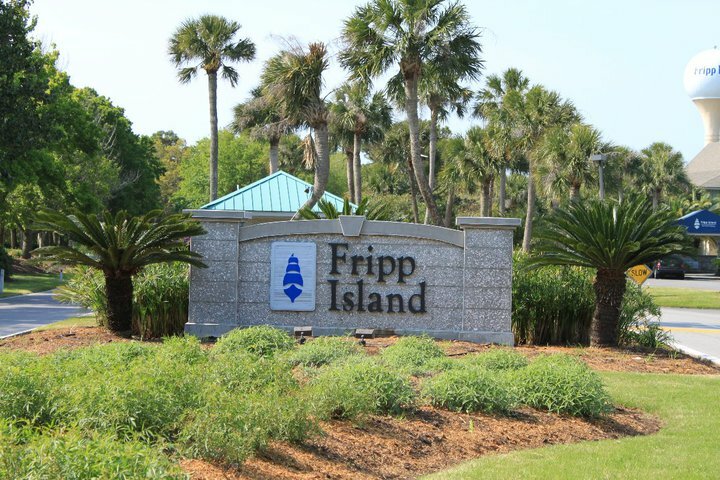 Fripp Island offers so much to do for everyone in the family, it’s hard to say no to such a great place to live! Our Team of Real Estate Professionals specialize in Fripp Island South Carolina, which is located 10 miles Southeast of Downtown Beaufort. We offer full service Real Estate Listing Services, Buyers’ Representation, long term property management, vacation beach rentals, and real estate investment. Visit our local office at 910 Charles Street, Beaufort SC 29902 or call (843) 521-2022.